There’s a piece in “The Atlantic” that focuses on elite college admissions. 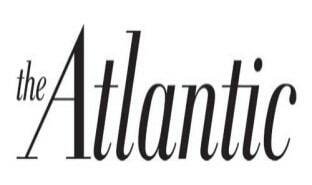 There’s a piece in “The Atlantic” on this Valentine’s Day by Jonathan R. Cole entitled “Why Elite-College Admissions Need an Overhaul” that we wanted to opine about. After all, we love opining at Ivy Coach. Who says that. We do. The piece as a whole is quite well written and it offers a fair and fairly comprehensive analysis of the current problems that exist in the college admissions process. But we would like to correct a couple of points that Mr. Cole made in his piece as while much of what he writes is completely accurate, some is not. As Mr. Cole writes, “Contrary to the opinion of some secondary-school guidance counselors, these colleges are looking for a well-rounded class as much as for well-rounded individuals.” No, no, no. We know, you’re ready to bust out with some Amy Winehouse lyrics: “They tried to make me go to rehab. But I said, no, no, no.” We miss Amy. She was a talent. Oh how we digress. Hey, we blog about college admissions a whole lot…we need to digress sometimes. Mr. Cole is wrong on this point. Highly selective colleges are indeed seeking to form well-rounded classes but they are not seeking to form well-rounded classes that are comprised of well-rounded students. Highly selective colleges aim to admit singularly talented students — the sub-1:45 200-yard butterflyer, the award-winning Lincoln-Douglas debater, the published author — who together form a well-rounded class. This has been the case for many years now. So when Mr. Cole writes (in bold), “Schools need to instill in students a thirst to pursue their own interests, even at the expense of creating the ‘well-rounded’ student,” we can’t help but find he’s missing the point a bit. We don’t disagree with the notion that highly selective colleges should overlook a bad grade (they often can if it’s truly an outlier) and we agree with the notion that these colleges should seek out the extraordinary street performers, political cartoonists, poets, and novelists. And while Mr. Cole writes that “there is an appreciation for diverse talents,” his statements somewhat imply that these colleges are not in search of the incredible poet or street performer. They sure are — and they have been for years. Those are indeed examples of singular talents — precisely what highly selective colleges love. Do you think elite college admissions is in need of an overhaul? We’re curious to hear from our readers so post a Comment below and we’ll be sure to write back. And a very happy Valentine’s Day to you and yours!